(NC) Food poisoning isn’t just something you can get when you grab takeout. If we’re not careful, bacteria that can make you sick, like Salmonella, can be lurking in even our fanciest home kitchens. 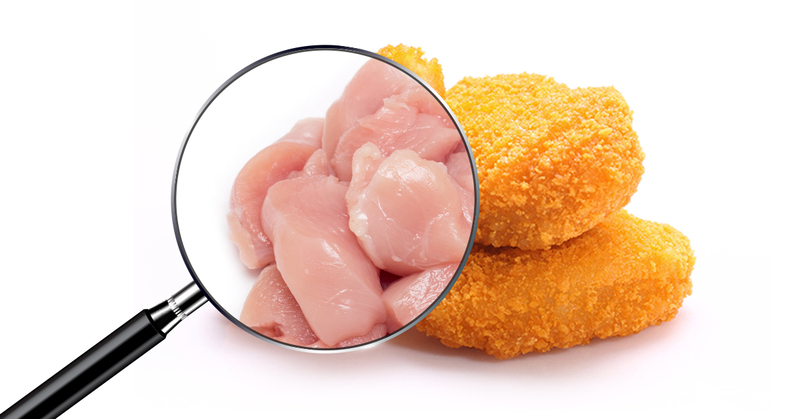 Some of the most common culprits lately have been frozen raw breaded chicken products, like nuggets, fingers and burgers. Many of these foods contain raw chicken, and should be handled with as much care as you would take with raw chicken. Clean up. Always wash your hands, serving dishes, utensils and cutting boards thoroughly before and after handling raw foods, like frozen breaded chicken products. Cook completely following package instructions. Follow Health Canada’s safe internal cooking temperatures chart to ensure that raw meat has been cooked to a safe internal temperature. Frozen raw breaded chicken products need to be cooked to an internal temperature of at least 74°C (165°F). Get a digital thermometer. There are many types of thermometers, but digital ones are considered the most accurate because they provide instant and exact temperature readings. Measure accurately. Remove your food from the heat and insert the digital food thermometer through the thickest part of the meat or chicken, all the way to the middle. Make sure it’s not touching any bones, since they heat up more quickly and could give a false reading. Follow these tips for everyone. Food poisoning can affect anyone, not just those with compromised immune systems. It’s not just the young and old at risk. Recent illnesses from frozen raw breaded chicken products have affected all age groups. So whether you’re cooking for yourself, a teenager or a toddler, use and encourage safe food handling and cooking practices to keep everyone safe.